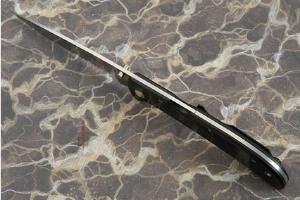 Description: The Eagle Ultralight is proof that high quality and strength can be thin and extremely light in weight. 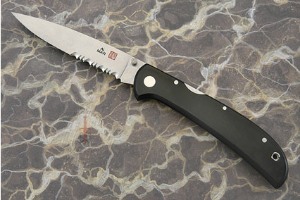 The blade is AUS-8, and is partially serrated. 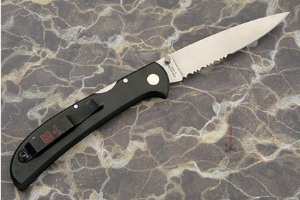 The partially serrated blade is no longer made and is extremely hard to find. 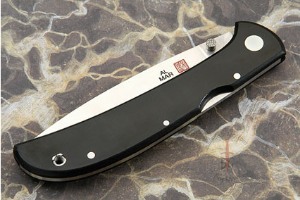 Handle scales of black Micarta assure a classy look as well as durability. 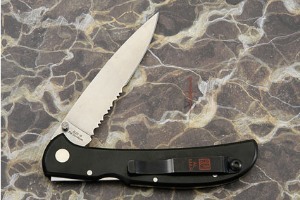 Features a strong front-lock design with dual stainless steel thumbstuds. The stainless steel pocket clip attaches through the lanyard hole and is reversible and removable (mounted for tip-up carry).